Georgia Tech participants pose at the IEEE/WIE Women's Leadership Summit in Atlanta. 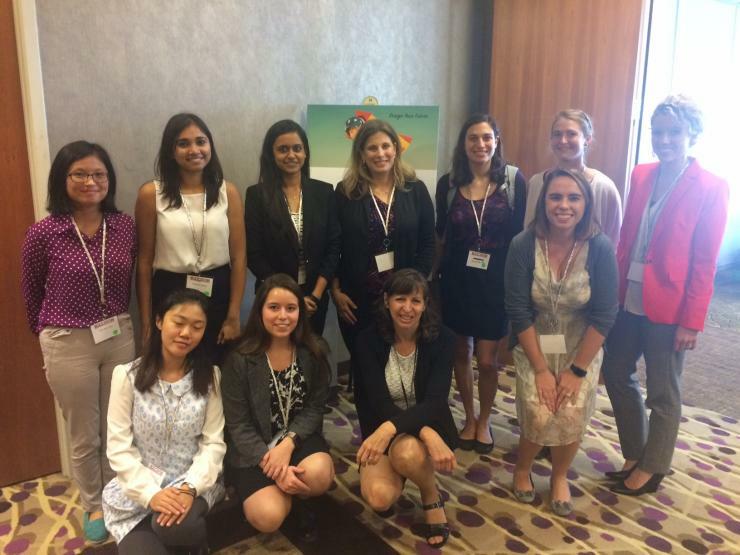 The Georgia Institute of Technology was represented last week at the IEEE Women in Engineering (WIE) Women’s Leadership Summit, held on Nov. 3-4 at the Loews Atlanta Hotel, by a contingent of students and faculty. Among faculty panelists were College of Computing Professors Dana Randall (ADVANCE Professor of Computing and Executive Director Institute for Data Engineering and Science) and Annie Antón (Chair, School of Interactive Computing), and College of Engineering Professor Ayanna Howard (Bioengineering Chair in Electrical and Computer Engineering), Leanne West (GTRI and IPaT), and Maryam Alavi (Dean of the Scheller College of Business). In addition, fifteen students were selected to attend from an internal competition run by the ADVANCE program, which awarded costs to attend the summit through a donation from Microsoft. Students applied and submitted vision statements for the competition, which were narrowed down and awarded by the ADVANCE professors. Nine College of Computing, six electrical and computer engineering, and one mathematics student were chosen overall. The event hosted influential leaders from academia, industry, nonprofit, and entrepreneurship spheres, predominantly women, who shared their stories amongst four conference programs: Entrepreneurship, Academe, Leadership, and STEM outreach. The program consisted of a number of panels and keynote speeches over the course of the two days. Randall and Howard participated in the “Paths and Strategies to Successful and Fulfilling Careers in Academia” panel, while Anton joined an elite panel on academic leadership. One Georgia Tech Ph.D. student, Sarah Cannon in the School of Computer Science, was also a member of a panel that focused on undergraduates. The discussion, titled “Inspiring Lessons and Success Stories for the Undergrad,” included two working professionals and two current Ph.D. students. 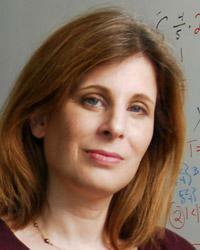 Cannon is in her fourth year pursuing her Ph.D. in algorithms, combinatorics, and optimization and is advised by Randall. She was excited to be a part of the conference and panel because of what the exchange of ideas with peers can lead to in her research. Georgia Tech ADVANCE was a sponsor of the summit, and Randall was a member of the organizing committee.